Yes, we are Toyota Specialists but we have a lot of success with all makes & models of 4WD’s. This is Blake’s 20016 Td42ti with G Turbo bad boy, 12mm fuel pump, front mount intercooler and 35-inch tyres. 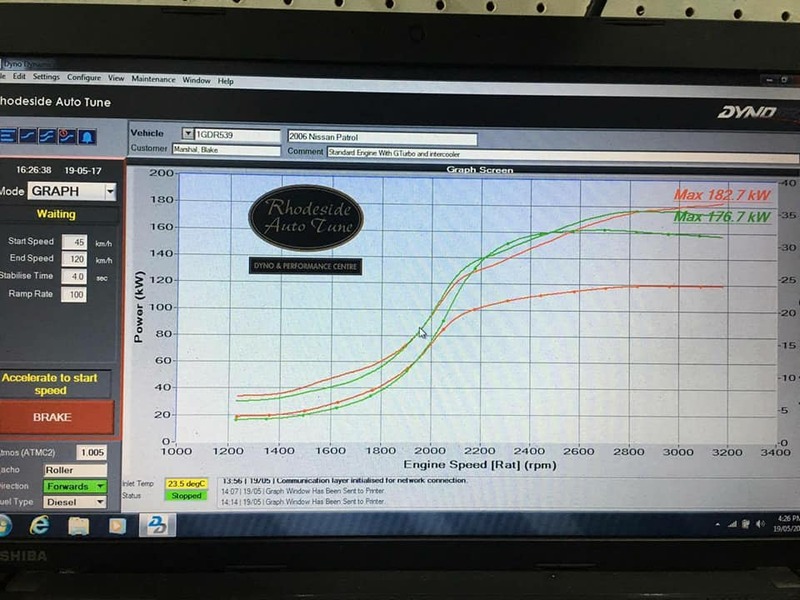 When he purchased the car it was making 176.7kw at 34psi then after Leith Rhodes re-tuned the vehicle it was making a healthy 182.7kws on 25 psi. So as you can see with this result boost isn’t everything! Come down and see us for more info!